Fresh made guacamole, shredded cheddar cheese and your choice of red or green sauce - all wrapped in a steaming hot flour tortilla! Can you say delicious? Tender white chicken meat grilled to perfection, shredded cheddar cheese, sour cream, tomatoes, garden fresh lettuce, and your choice of red or green sauce - all wrapped in a steaming hot flour tortilla. Yum? Our pinto beans are the best ever! We add shredded cheddar cheese and your choice of red or green sauce, then wrap it all up in a steaming hot flour tortilla! Bet you can't resist eating more than one! The‎ best of both worlds! Savory beef and smoothly blended pinto beans, shredded cheddar cheese, and your choice of red or green sauce - all wrapped in a steaming hot flour tortilla. Make it a grande by adding on lettuce, sour cream and garden fresh lettuce. Now that's eatin'! The granddaddy of them all! Your favorite burrito topped with red sauce, queso, sour cream and black olives. What a meal! We start with a soft, warm flour tortilla. Then we stuff it full of juicy chicken grilled to perfection, tomatoes, lettuce and zesty cheddar cheese. You're smiling, aren't you? Sort of like a hamburger...only twice as good. Our famous taco meat, fresh lettuce, tomatoes, and delicious cheddar cheese on a hamburger bun. Can you dig it? 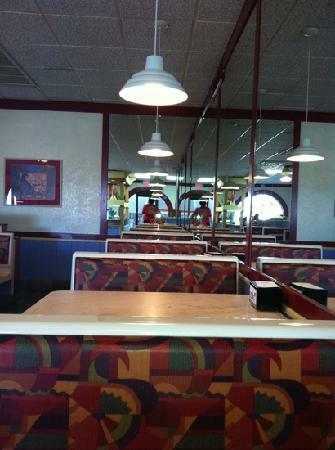 It's like getting twice the taco! Our regular taco villa taco cushioned in a warm soft tortilla covered with pinto beans. You've never had anything so good! All the great ingredients of our delicious crispy taco, but without the crunch! This is where the legend began! Savory ground beef seasoned to perfection, crisp lettuce, and zesty cheddar cheese in a crispy corn tortilla shell. Then we crown it with a full slice of garden fresh tomato. Our competition quakes in its presence! Juicy u.S.D.A. Choice steak, mouth-tingling pico de gallo, cheddar cheese and a warm tortilla. Can you say "olé"? Taco villa's creamy smooth guacamole on a crisp corn tortilla topped with lettuce, cheddar cheese and a bright red tomato slice. A fanatic favorite! Our specially seasoned ground beef cooked to perfection, then piled on a corn tortilla. We then add lettuce, cheddar cheese and a delicous slice of tomato. Hungry yet? A golden brown fried corn tortilla topped with our delicious ground beef, savory refried pinto beans, lettuce cheese and tomato. Tastes as good as it looks! Our pinto beans are grown high in the rockies so they're perfect and flavorful. We spread them over a fresh corn tortilla and then add a tomato slice, garden-fresh lettuce and our delicious cheddar cheese. Mmmmm! Steak, chicken, cheese. A fanatics favorite! Two soft flour tortillas filled with our zesty cheddar cheese then grilled to perfection. Add steak or chicken to yours and share it with a friend. They'll never forget you! Strips of golden grilled chicken on a bed of fresh lettuce topped with tomatoes, cheddar cheese, olives and guacamole. Served in a crispy tortilla bowl. Yummy! A crisp flour tortilla bowl filled to the brim with garden fresh lettuce, red tomatoes, cheese, olives, guacamole and our savory ground beef. Dig in and enjoy! Marinated u.S.D.A. Choice steak, crisp lettuce, tomatoes, black olives, zesty cheddar cheese and guacamole. A bowl full of flavor! Served with or without a fried tortilla bowl. Chili‎ cheese fries, mexi-chili fries, nacho fries, french fries, mexi curls. Nobody tops taco villa's french fries (like we do)! Top'em off with queso and chili to really spice things up! Deluxe, meat, combo, burrito, cheese. Our nachos start with a bed of crisp tortilla chips and flavorful queso. Add your favorite toppings (ground beef, refried beans, jalapenos, lettuce, tomato, sour cream, guacamole). Il y avait la salade de steak taco, c'était dans un bol comestible. Je l'ai beaucoup apprécié. était proche de mon hôtel. Bon repas pas cher. Tellement plus agréable que de Taco Bell ou Bueno. J'ai adoré le mélange burrito. Très rapide. Il est très cher pour la nourriture. Mais la qualité est bonne. 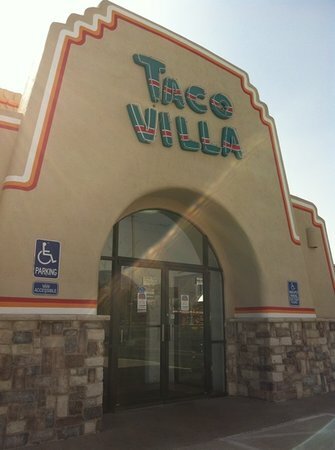 Nous apprécions vraiment Taco Villa. Les burritos combinés sont les meilleurs. Cet emplacement est meilleur que la plupart. Ils doivent monter leurs tables à vapeur. La nourriture n'a pas été très chaude ces derniers temps. Mieux que Taco Villa. J'ai mangé ici chaque fois que je viens à Amarillo (maison). C'est peut-être la restauration rapide mais la qualité est excellente pour ce qu'il est ... Ils ont été autour pendant au moins 30 ans. La nourriture ici est toujours bonne. C'est de la nourriture rapide mais très bonne nourriture rapide. Le personnel est toujours très sympathique. Si vous êtes d'humeur pour mexicain pour y aller. Je n'ai pas aimé le goût de la viande Taco. Je ne sais pas si il n'y a pas eu de bonnes épices, mais c'était très fade. Obtenez des réponses rapides du personnel et personnes ayant visité le Taco Villa.